Thailand is officially called by the name of Kingdom of Thailand and formerly it is called as the Siam. 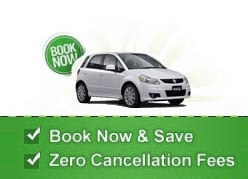 You must opt for best of the car rental services available with us at affordable price. Here, you have the availability of several locations to pick up the cars on rent like the famous Bangkok Airport, Phuket Airport, Ko Samui Airport, Obon airport, Chiang Mai Airport, Khon Kaen Airport, Krabi airport, and Bangkok Suvarnabhumi Airport and more. In Thailand, you can have great surroundings as it is located in the middle of the Indochina peninsula in the Southeast Asia. Bangkok is the capital and the largest city of Thailand where you can see not just the temples like Temple of the Reclining Buddha and the Temple of Dawn but also the Grand Palace and Central World Plaza. Then visit the city of Phuket to see the Phang Nga Bay, Kata Noi beach and Phrompthep Cape. The best idea is to hire a car at Thailand for enjoying the trip at its best. Also explore the Pattaya city which is filled with landmarks like Flight of the Gibbon wild life area and Nong Nooch Tropical Botanical Garden. Car rental deals for Thailand starts at RUB 542.